Shortest route from San José to Manuel Antonio National Park, the distance is 177 Km and the approximate duration of the trip is 2h 54 min. Check alternative routes and plan how to get from San Jose, San Jose, Costa Rica to Manuel Antonio National Park, Province of Puntarenas, Canton of Aguirre, Puntarenas, Costa Rica by car for the most optimal itinerary. To rent a car you can do it directly at the airport, or before arriving in the country through some of the car rental companies. After passing Orotina there is a tollway take the first exit to the right with signs indicating towards Jaco. 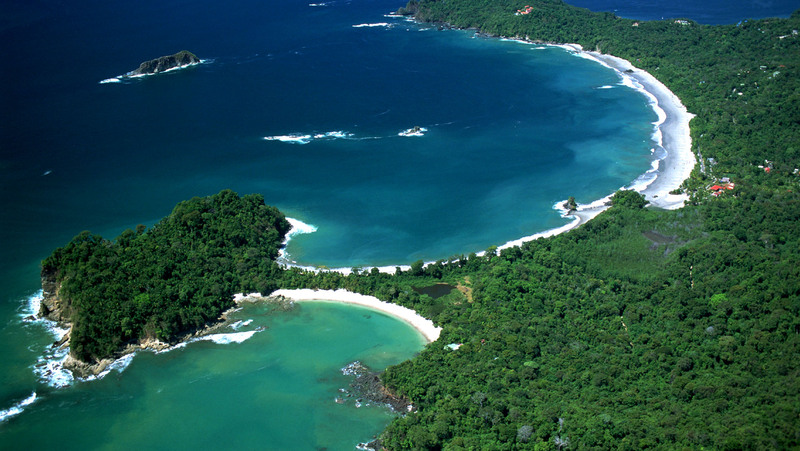 After passing under the freeway bridge, you will now be on Route 34, from there Manuel Antonio is 67 miles away. Once near Jaco, keep on route 34 and continue driving to Parrita, Quepos. In Parrita you have to pass through the city, and follow the main road following the signs towards Quepos, Manuel Antonio. Once on the Manuel Antonio beach, you will see many people who offer parking ignore this situation and follow the road, on your right you will see the beach and to your left several restaurants when you get to the corner there is a Restaurant called Marlin double to Left and continue driving 200 meters towards the entrance of the National Park and we are the second hotel on the left. You can contact the hotel if you are interested or need help.